Welcome to Brew Town! 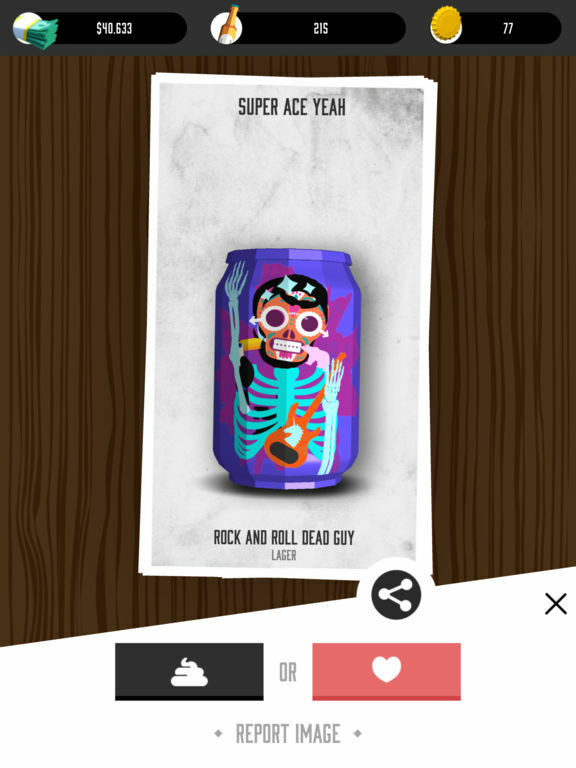 The world’s foremost Craft Beer Simulator! Start your very own craft beer brewery. 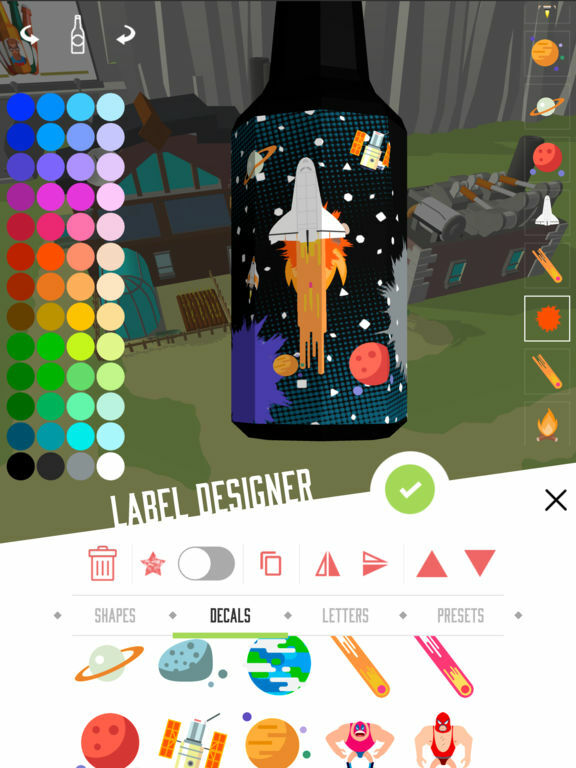 Expand your range of tasty brews, design your bottles and cans, upgrade your buildings, and satisfy your customers endless thrist. 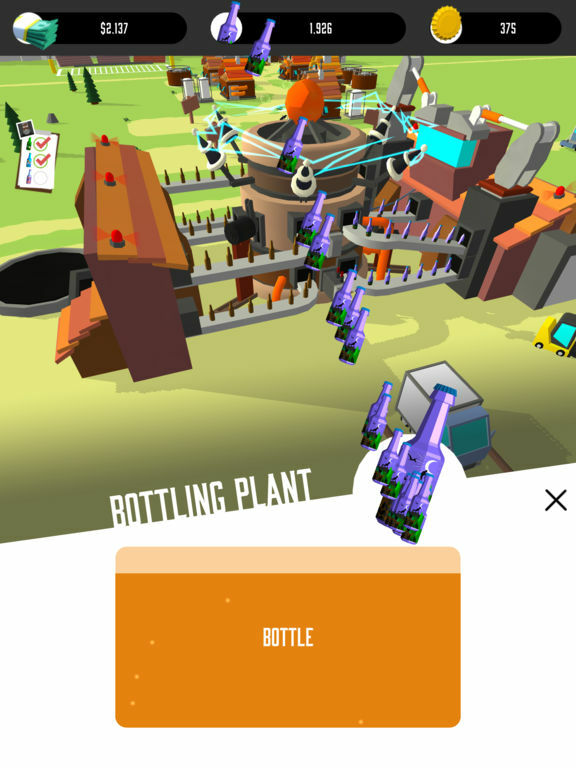 Brew, bottle, ship and sell to grow your town into an empire. Make the world a little more tasty! 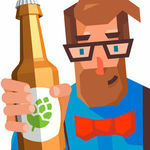 A tycoon game like no other, Brew Town lets you craft your way to success. Built around the core notion that people deserve better beer, you have free reign to decide how best to satisfy your customer’s palette. Want to make an almond flavoured stout? Go right ahead. You’d rather have a caramel-nougat IPA with a space-themed label? Step right up. How about a chili-infused red ale with a bright orange bottle featuring a GIANT BEAR ON FIRE? Let’s just say you’ve come to the right place. It's not a great game, but that doesn't mean it's a bad one either. 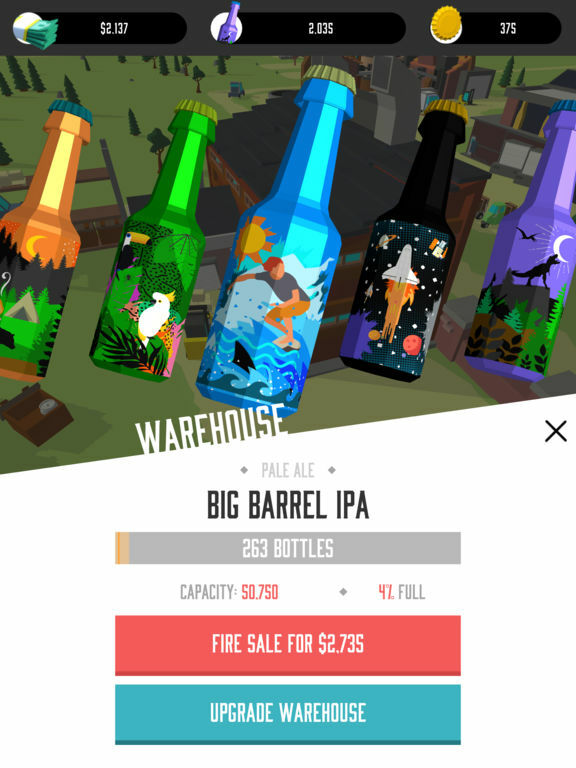 Brew Town is weirdly addictive and amusing, and if you're a fan of tycoon games or clickers, you'll definitely enjoy it. It says a lot about Brew Town that you don't even necessarily need to be a beer lover or know your pilsner from your porter to appreciate it, because it's well-constructed almost the entire way through and manages to blend simple game mechanics, an inviting atmosphere and a dash of artistic creativity to concoct something that all kinds of gamers can get into. It's definitely a lot more casual in its approach to the idea of brewing your own beer than your preconceptions might have you think, but again, when you think of how people get about craft beer in meatspace, that's not necessarily a bad thing at all. 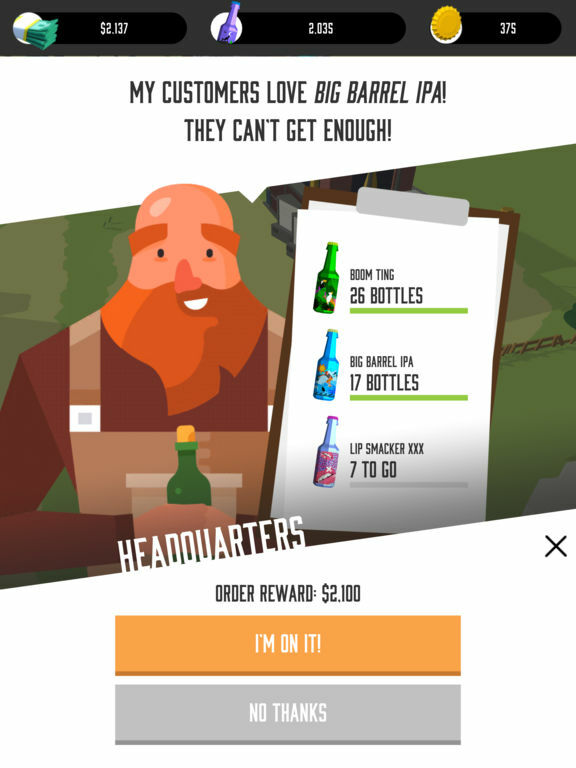 Brew Town is an entertaining simulation clicker style game that is keeping me busy whenever I sit down and check in. I found the tutorial to be a bit unclear, but the game is pretty straightforward once you get the hang of things. And it's easy to just lose yourself in for a few hours at a time here, especially when you've become super efficient at brewing and filling orders. 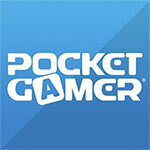 The graphics are great, and the sounds are nicely done. I don't really understand why all the building upgrades must be reset when you get a new hops though, and I hope the bugs that I've encountered get fixed. Still, I'll be playing this one for a while, at least until I get bored of running a successful brewery, anyway. 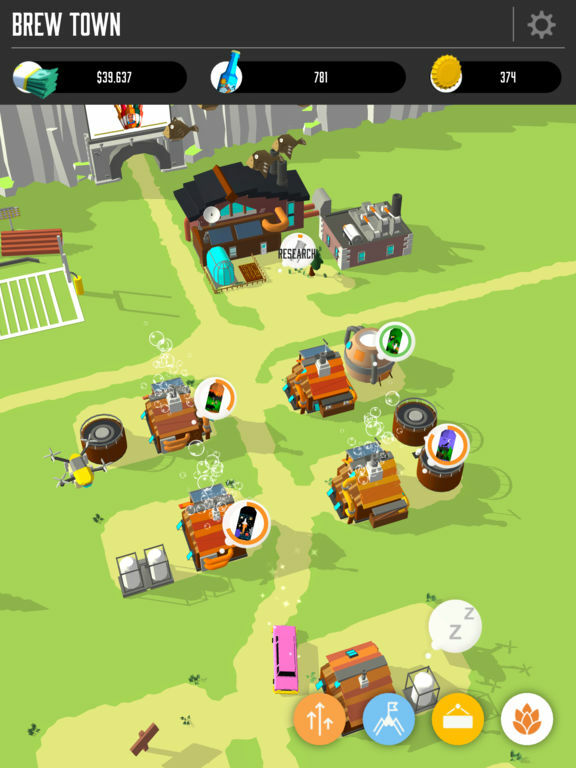 Brew Town is a pleasant, undemanding sim, that hits most of the right notes, as well as adding a few new ideas of its own.